My husband and I chose and sunny day …. 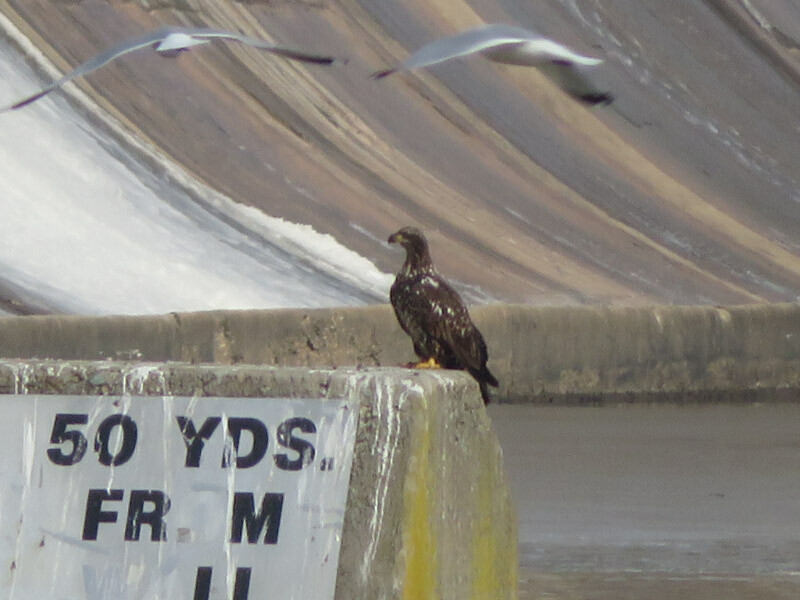 Headed north to Conowingo Dam one morning last week. We hoped the day would be good for seeing the bald eagles. It was a bit of a disappointment: the birds all stayed on the far side of the river – seemingly even further away than usual, there were not very many of them, and the sky was hazy rather than blue. The gulls and cormorants (and maybe some ducks) were too far away as well. I turned my camera to other things. The Princess Tree had velvety buds. 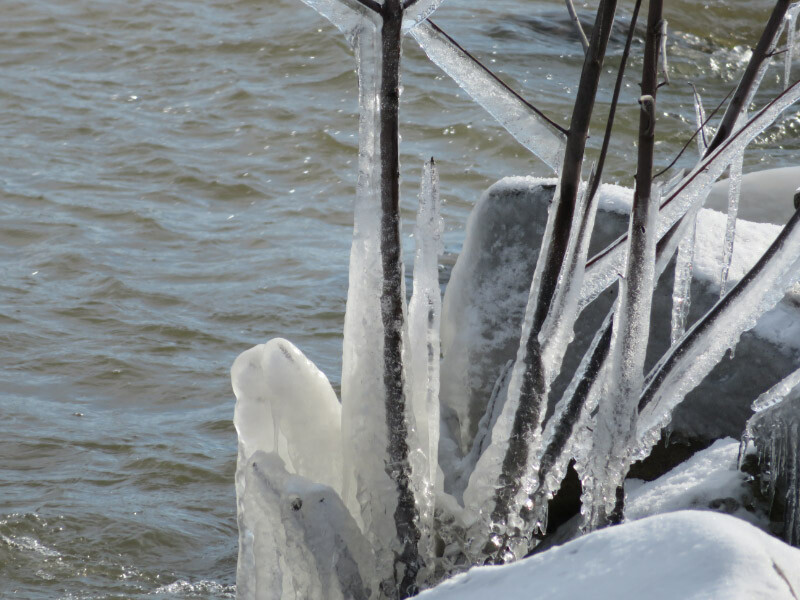 There was a small stand of trees near the edge of water that had quite a load of ice; I wondered if it would survive. An old stump was deteriorating near the fishing pier. I thought part of it looked like a one-eyed owl looking out of the decaying wood. There was an oak leaf covered with salt that had been liberally scattered on the sidewalk. 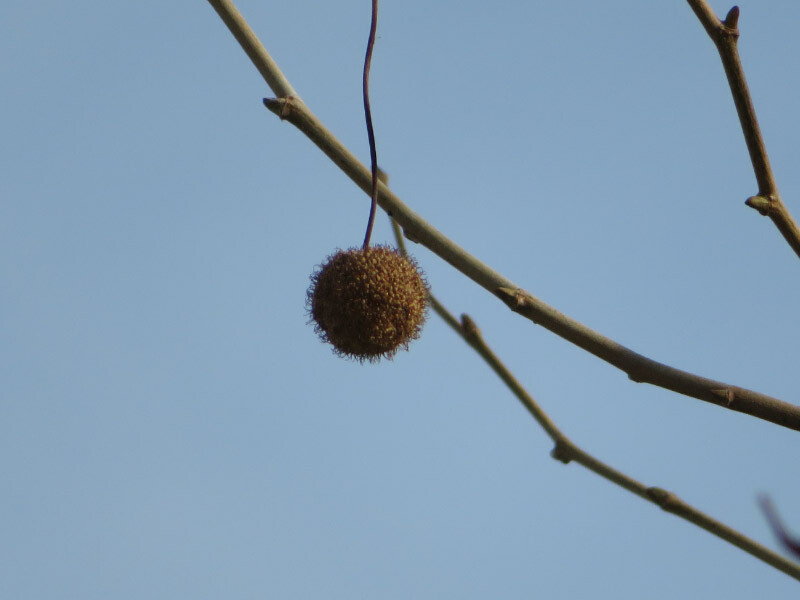 There were not many sycamore balls…last spring was not conducive to seed production in our area. This one does not look like it has been discovered by seed loving birds either. Tomorrow – I’ll write about the ice at Conowingo.